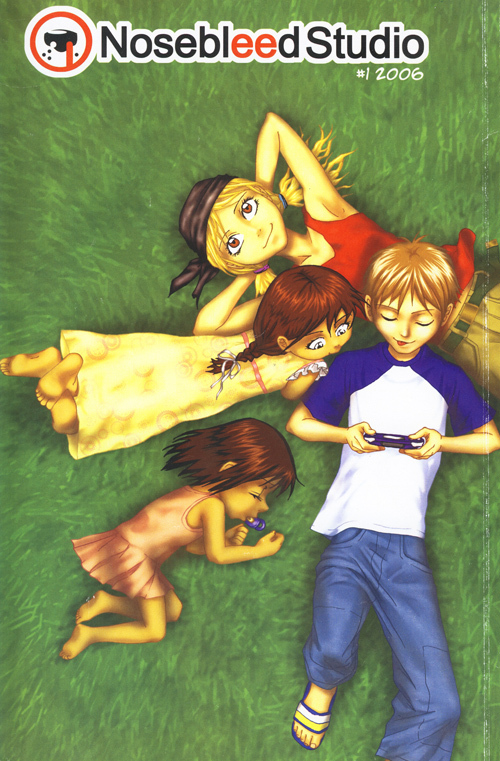 Nosebleed Studio is a Swedish manga studio that first saw daylight in February 2006. 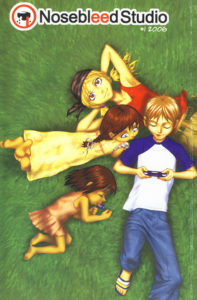 It was founded by Natalia Batista, Alice Engström, Catarina Batista, Chi Minh Quan and Jonathan J Holm, with the premise ‘Manga for the people’. During the first year we launched a website and made our first publication – Nosebleed Studio #1 2006. 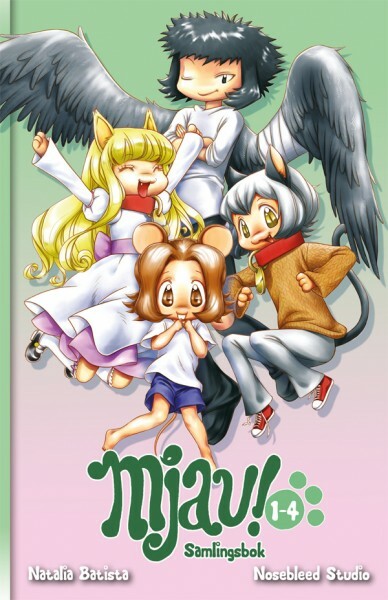 Since then, we have been hard working, producing fanzines and books both together and individually, selling them at conventions and events thoughout Sweden and also in Denmark, Finland, Lithuania and Germany. 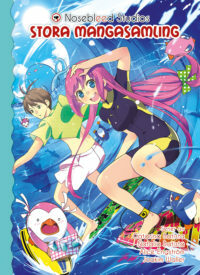 We also sell our books to manga book stores and libraries in Sweden. 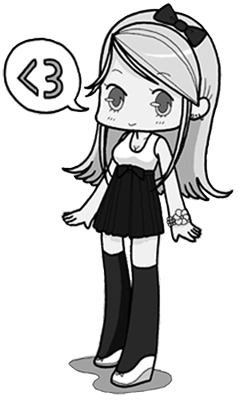 To see more of the things we have been working on, check out our projects or read some of our manga. The studio works as a platform for us to together promote each other with and do projects together within. But we still work most our times individually, striving to reach our dreams to be able to work full time as artists. In 2011, Chi Minh and Jonathan had left because of inactivity. We released our 5 years jubilee anthology with manga and art by us three girls that have been roeing this boat for all these years. We also took the chance to welcome a new crew member on board – Joakim Waller. 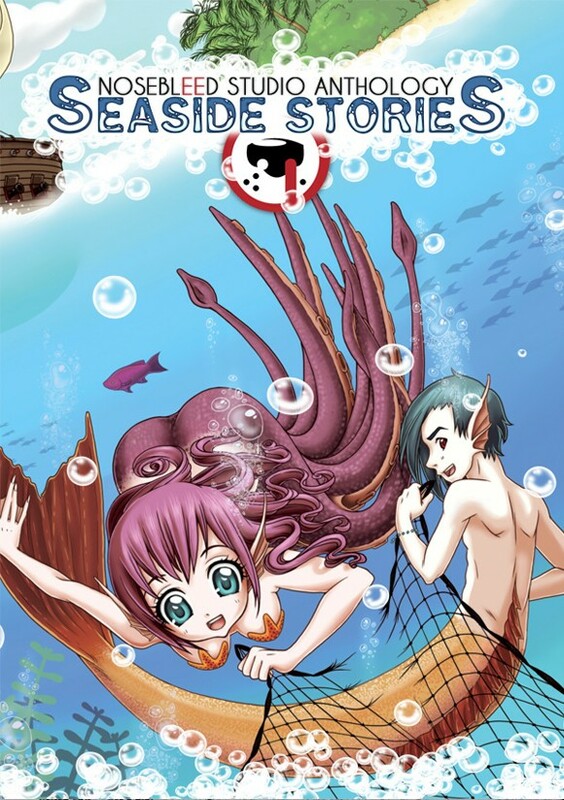 In 2012, we released our second anthology Seaside Stories, with mangas by all four of our members. 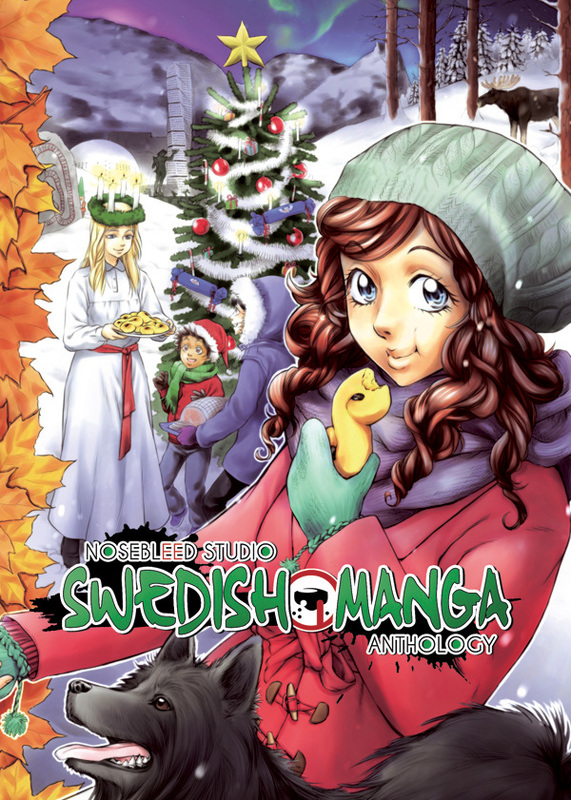 In 2013, our third anthology was released, Swedish Manga Anthology, with art by all for members and mangas by Catarina Batista, Natalia Batista and Joakim Waller. In 2014, we decided to make a limited edition Artbook and sell it online and at events. 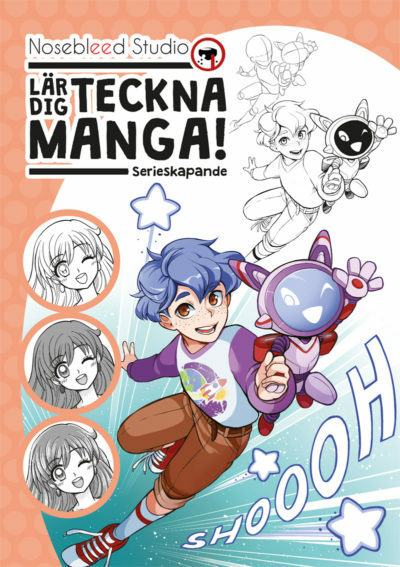 In December that year, our first two anthologies had sold out so we decided to make a collected edition in Swedish called Nosebleed Studios Stora mangasamling, containing all our three previous anthologies in one big book. In 2015, after some searching, we finally found a new member – Elise Rosberg. 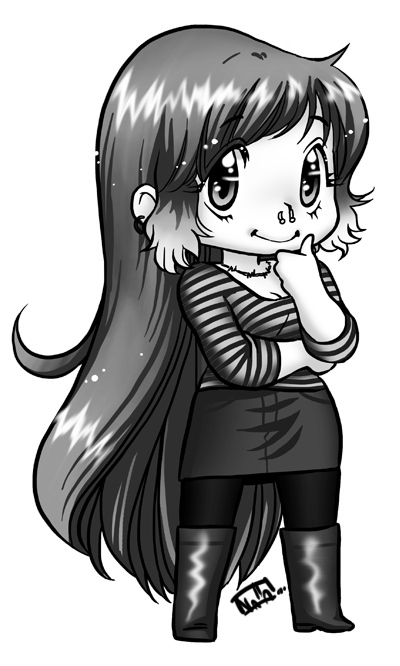 Together we travelled to conventions and sold our books to even more libraries, making us a well known publisher of manga in Sweden. In 2016, as we celebrated 10 years together, we made our 10 Years Jubilee Anthology. 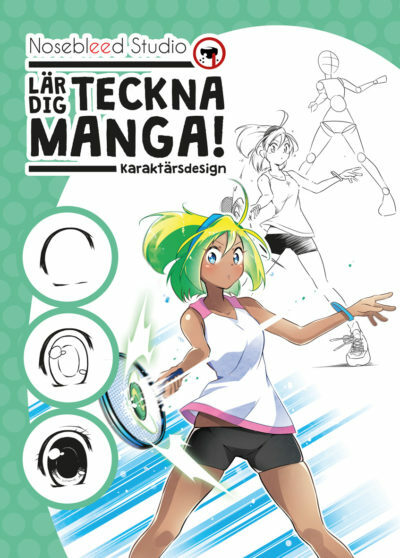 In 2017, we released our first how to draw manga book Nosebleed Studio lär dig teckna manga! – Karaktärsdesign. We also got a new member – Magnolia Winroth. 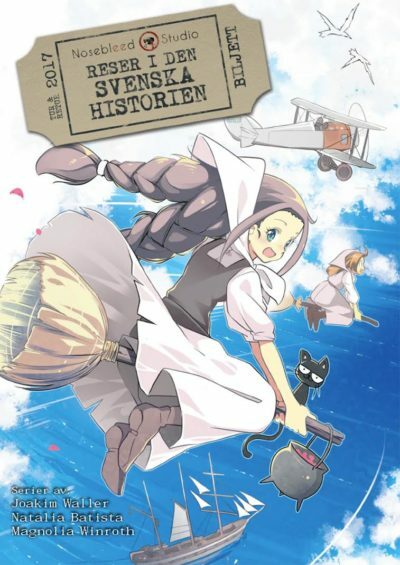 Together with Natalia and Joakim, Magnolia made the anthology Nosebleed Studio reser i den svenska historien. 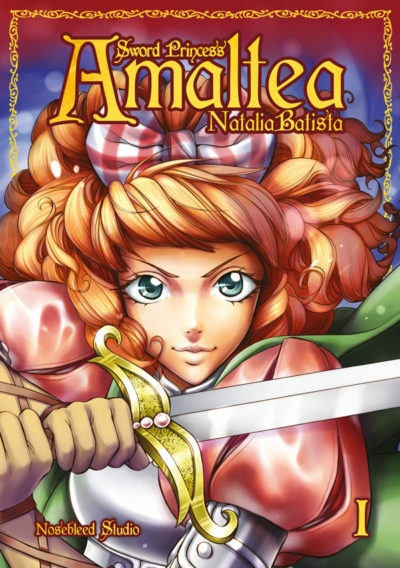 We also signed Sword Princess Amaltea and Mjau! to our company, since Natalias previous publishers went out of business. 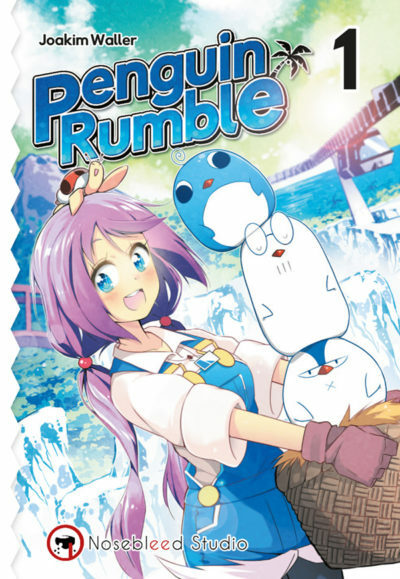 In 2018, we have so far released Joakim Waller’s Penguin Rumble book 1, with book 2 on the way. 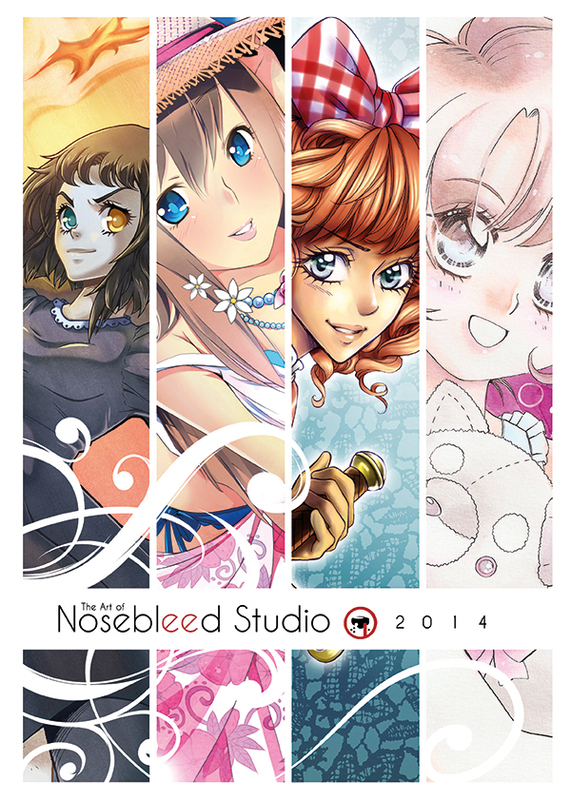 We will release our second drawing handbook Nosebleed Studio lär dig teckna manga! – Serieskapande. Thank you for checking out our website and we hope you’ll have an enjoyable time here! och få tips och inspiration. Tyvärr glömde jag namnet på denna sida och har inte lyckats hitta den. Sidan heter Nätverk för serieskapare. En annan grupp som kan vara intressant är Artist Alley Sverige. Båda de grupperna är bra för att hitta andra serieskapare och höra om event som kommer ske som man kan åka på eller tävlingar man kan delta i.